Security operations teams are modern-day detectives, combing through clues to thwart cyberthreats. But the deluge of alerts from disparate technologies, manual processes and multiple consoles often hinder teams from building the story they need to respond to truly malicious activity. 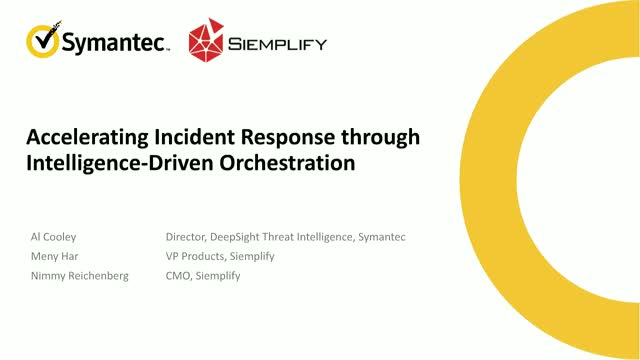 Join Symantec and Siemplify on Wedensday, May 23, to see how intelligence-driven orchestration helps SOCs overcome these challenges by enabling deeper, higher quality investigations and expediting incident response.